Perfectly sized, these elegant Studio residences display what has become the hallmark of Trump International Hotel Las Vegas - magnificent views of the Las Vegas Strip, city and mountains, framed through floor-to-ceiling windows. Enter into a glamorous living space with elegant crown moldings, a luxurious king-sized bed or dual queens, custom cabinetry and a state-of-the-art Kitchenette which allows you to indulge any time, day or night. Beautiful Breccia Onniciata marble encapsulates the generously sized Bathroom complete with double sink vanity and six-foot whirlpool tub. 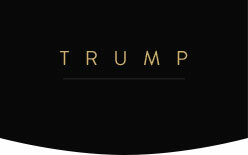 The Studios at Trump International are truly one-of-a-kind Las Vegas residences.